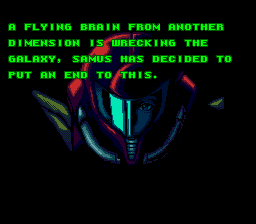 Plot : A flying brain from another dimension is wrecking the galaxy, Samus has decided to put an end to this. She has less than one hour to complete her task otherwise she’ll die from heavy brain damage. Goal : Defeat 4 main bosses in 4 distinct areas then head to the final area as fast as possible. 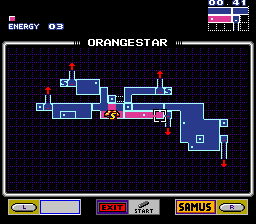 Each area can be completed in one run and in any order (no need to go back and forth between areas to progress). There’s a bit of exploration thrown in for good measure but for the most part, the main path is quite straightforward (I think?) In case you’re confused, look at the map - all area maps are available from the start. Backtracking is usually needed when you’re exiting an area to go the next one. Most enemies has altered vulnerabilities, health and damage so you should be able to deal with them under-equipped. 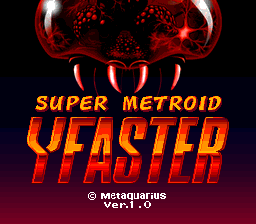 That includes bosses & zebetites weak to uncharged shots, etc. 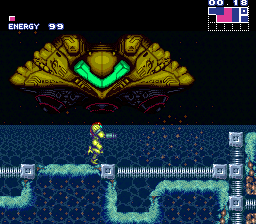 Yet, as a general rule of thumb, bumping into everything (ie enemies, spikes) isn’t the best way to progress.